The dB (decibel) is one of the most common units in engineering, yet also one of the most confusing, especially when it comes to manipulating S-parameters. Here is how not to be confused. The Bel is a fundamentally new unit, which was originally established in 1928 by The Bell System to describe sound levels. This scale has since been generalized to relate to the log of the ratio of any two power levels. The most important principle of the Bel scale to keep in mind is that it is, without exception, by definition, the ratio of powers. It originally related to sound level powers, but has since been generalized to all types of powers. Sound level power has a huge range. It starts at the threshold of hearing (TOH) with a sound level of about 10-12 W/m². The onset of pain is about 10W/m², and the power level to rupture an eardrum is 1000W/m². The loudest recorded man-made sound is from rocket launches. The Saturn V produced 100W/m² of sound level power about 1 mile from the launch pad. It only got larger closer to the launch pad. This amount of sound power reflecting off the launch pad could have easily damaged the Space Shuttle. 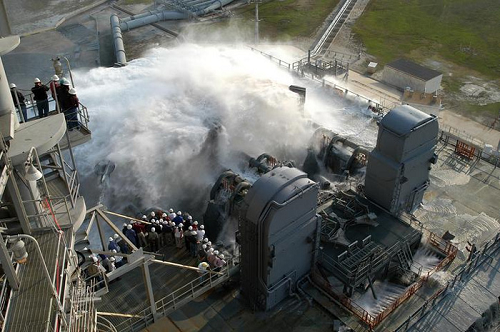 This is why a 900,000 gallon per minute of water sound suppression system was installed on the launch pad (Figure 1). Even with this system, the sound level power at the position of the Orbiter was about 100W/m². There are 15 orders of magnitude between the threshold of hearing and the rupture level. When there is such a large dynamic range, it is more convenient to describe the values in terms of the log of the ratio of the power levels to a reference level. For sound, the TOH is used as the reference. A whisper is a power about 100 times the TOH. This is a sound level of log (100/1) = 2 Bels. A vacuum cleaner is about 10 million times the TOH. Its loudness is log(107/1) = 7 Bels. But on this scale of Bels, the loudness of a Space Shuttle launch at the orbiter is only 14 Bels. For all its awesome power, 14 just doesn’t seem like a very large number. To give it a little larger range, rather than referring to the Bel directly, by convention, we’ve expanded the scale by 10x and use units of 1/10th a Bel, which is called a deciBel, or dB for short. A dB is always, without exception, by definition, 10x the log of the ratio of the powers: in units of dB = 10 x log(P1/P0). On the dB scale, loudness ranges from 0dB as the TOH up to 140dB for the space shuttle. Over the past 85 years, the dB scale has been adapted to describe not just the log of the ratio of sound power, but the log of the ratio of any two powers. 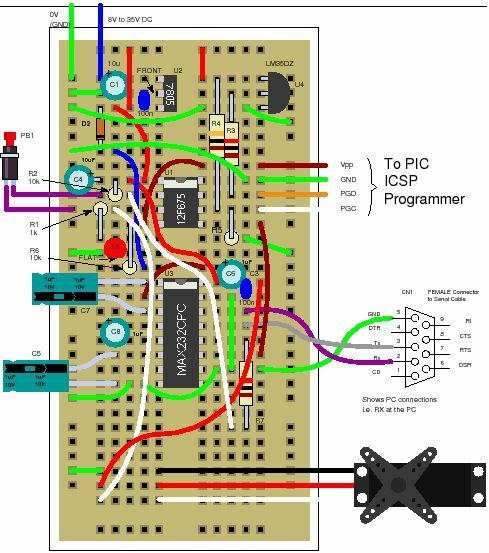 When we use a reference power of 1W of power, we can measure any other power in dB of power. When we use 1mW as the reference power level, we often designate the dB as dBm to identify that the reference power is 1mW. Now comes the subtle part. When we want to compare two quantities that are not powers, we have to somehow convert them into powers so we can use the dB scale. Voltage isn’t power, but amplitude. To use the dB scale to describe a voltage, we have to convert the voltages into powers, and take the ratio of the powers that are related to the voltages.